Completely renovated beautiful 2 bedroom + 2 full bathroom + 2 parking + a lovely 200 sq ft south facing patio! An open floor plan with great room sizes & chef's dream kitchen. Fully renovated in 2012 and located in Upper Fairview's best location in a superbly maintained building. Includes 2 parking spots (#1, #28) storage locker (#108) as well as in-suite laundry. 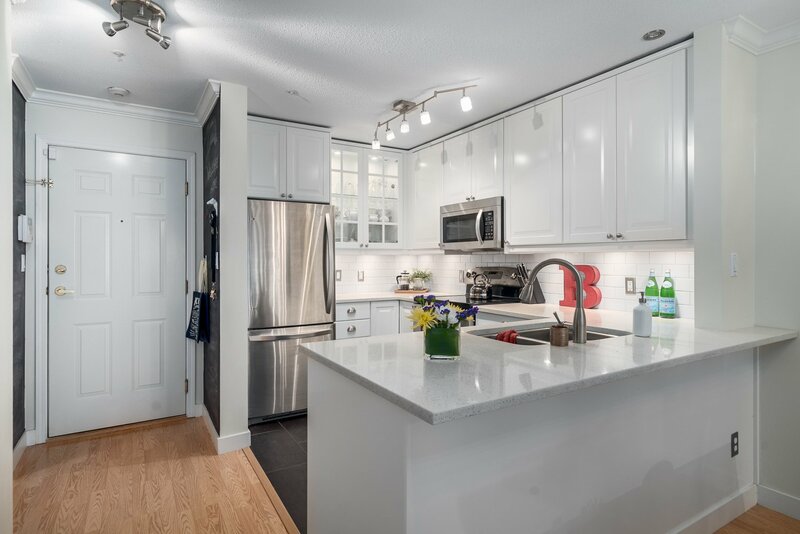 Fantastic location in quiet tree lined street in the family friendly Cambie neighbourhood. Close to everything - shops, groceries, restaurants, transit, schools, parks and Canada Line Skytrain. A great fit for young families or couples looking to downsize - Open House this Sat/Sun June 4-5 from 1-4pm.